Tyrone Kane has returned to Ireland from his club cricket stint in Australia to receive treatment for ongoing injury problems. The Merrion all-rounder had been playing for the University of Western Australia in Perth, but mostly as a batsman after suffering a side injury early in his ten-week placement. 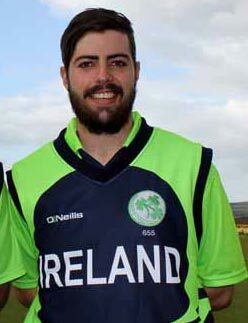 The 24 year-old has been named in the Ireland Wolves squad to tour Sri Lanka later this month, and the Cricket Ireland statement said "his early return to Dublin is a precautionary measure to ensure medical staff can maximise his recovery time prior to the tour." Kane will also be hoping to feature in Ireland's T20 side in the Oman Quadrangular (tbc), as well as the nine-match series against Afghanistan in India, which includes the St Patrick's Day Test.